Does your toilet have what it takes to win this year's 'Golden Kubeta Award'? Modern humans simply cannot live without toilets. A clean toilet means better health for family members, while establishments take clean restrooms as proof that they are reliable and trustworthy institutions. To raise awareness on the importance of proper toilet maintenance and waste management, Maynilad Water Services Inc. is once again holding the "Golden Kubeta Award." 1. We don't want toilets without proper waste bins. 2. We don't want to see toilets with nauseating odors--they are of course not what we're looking for. 3. If your toilet is the type where, if you strike a match, the house has the possibility to go up in flames from all the toxic fumes, then most definitely do not nominate it. 4. If your toilet hasn't been cleaned for over a century and grime and filth is an inch thick. 5. We don't want to see clogged toilets. As a responsible Filipino citizen you must know when you need siphoning. Or if your toilet clogs, you should at least ask for the assistance of Maynilad because they can fix it for you right away. Generally, the ideal toilet must be clean and must not have foul odors. It must also have an adequate supply of tissue, soap, running water, and a decent flush. 1. Take a photo of the most impressive toilet you've seen. 2. 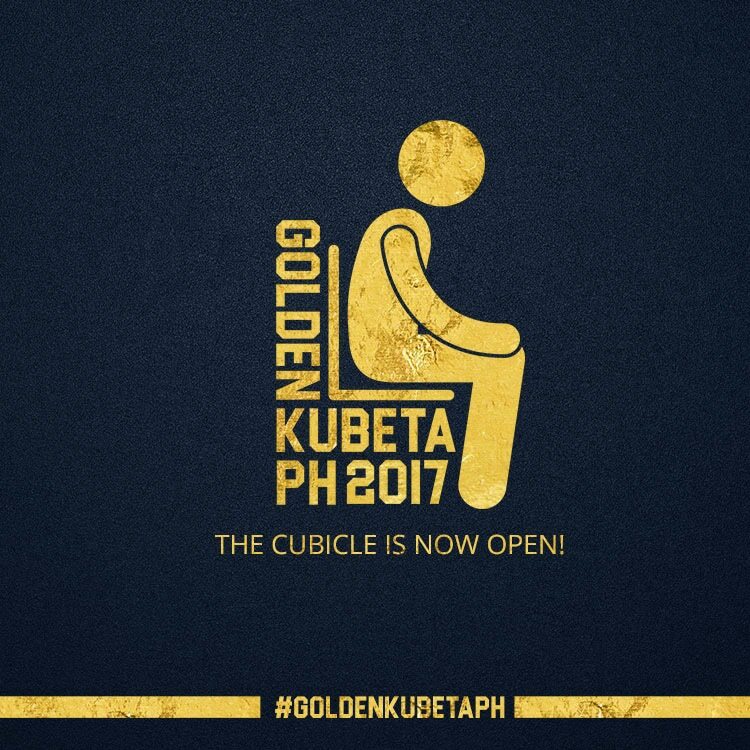 Caption it with why you think it deserves to win and include the hashtag #GoldenKubetaPH2017. 3. Post the photo on either Facebook or Twitter. Don't forget to set the post's visibility to public. Entries will be judged according to the toilet's basic functional parts, aesthetics, availability of amenities, and overall comfort level. The winning entries will also be judged based on maintenance of sewer lines and willingness to participate in spot audit. And last but not the least, there will be a special Audience Choice award -- the toilet that everybody dreams of having. Nominate your favorite toilet now, and make the world a better place, one kubeta at a time! For more details, visit Kubeta PH on Facebook.